62. Hammerschlag N, Schimtz OJ, Flecker AS, Laffery K, Sih A, Atwood TB, Gallagher AJ, Irschick DJ, Skubel R, Cooke SJ. 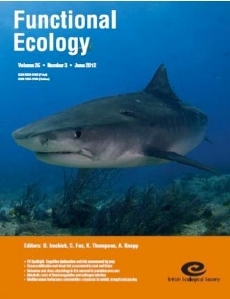 (In Press) Ecosystem function and services of aquatic predators in the Anthropocene. Trends in Ecology and Evolution 00:000-000. Gallagher AJ (2014) The Biology of Sharks and Rays by A Peter Klimley; 2013. The University of Chicago Press. Bulletin of Marine Science 90:745-746. Staaterman E, Clark CW, Gallagher AJ, Claverie T, deVries M, Patek SN (2012) The acoustic ecology of the California mantis shrimp. In: Popper, A. N. and Hawkins, A. eds. Effects of Noise on Aquatic Life. Springer Science+Business Media, LLC, New York.